Yesterday, my friend Mary Jane came over for zucchini muffins—I’ll be posting a recipe next week—and iced tea. 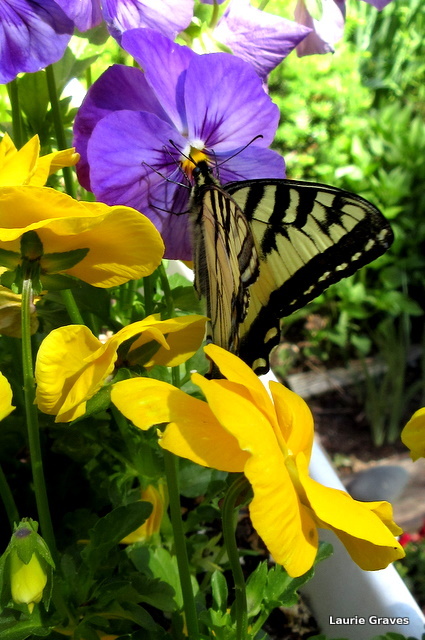 As she was leaving, we spotted this swallowtail butterfly, and we both were transfixed by its beauty. However, I was not so transfixed that I didn’t rush to get my camera and take some shots of this ethereal creature. 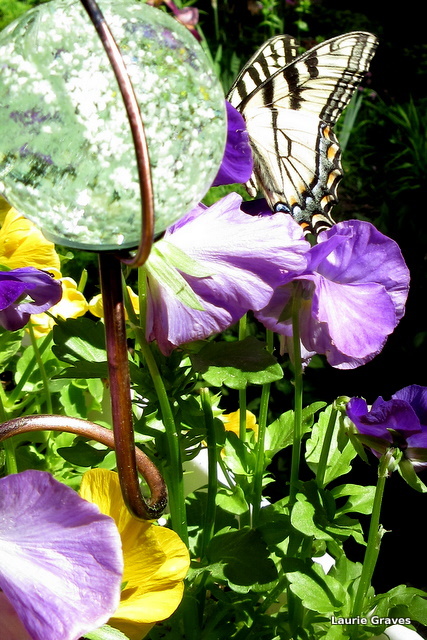 It was almost like having a fairy visit my pansies. Yet another gift of summer. Thanks, Judy. Lots of them this year at the little house in the big woods. Hope you see some soon. Great pictures. You did well to get your camera in time to catch it. Beautiful! We haven’t seen any Tiger Swallowtails yet.